Here you can login to our customer area. Inside you will find our whole assortment with pictures and prices. You can also make online orders. If you are already customer, please enter your customer number and your ZIP-code. You don't have a customer number? Please click here to send us an email with your address! Please note: We only deliver to retailers or wholesalers (B2B)! 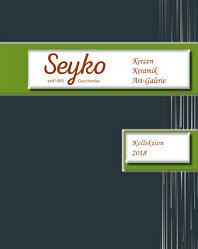 If you have problems with the login, send a message to verkauf@seyko-geschenke.de.